Do you ever wonder what is happening inside your brain when you feel anxious, panicked, and worried? 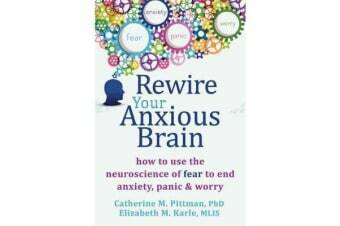 In Rewire Your Anxious Brain, psychologist Catherine Pittman and author Elizabeth Karle offer a unique, evidence-based solution to overcoming anxiety based in cutting-edge neuroscience and research. In the book, you will learn how the amygdala and cortex (both important parts of the brain) are essential players in the neuropsychology of anxiety. The amygdala acts as a primal response, and oftentimes, when this part of the brain processes fear, you may not even understand why you are afraid. By comparison, the cortex is the center of worry. That is, obsessing, ruminating, and dwelling on things that may or may not happen. 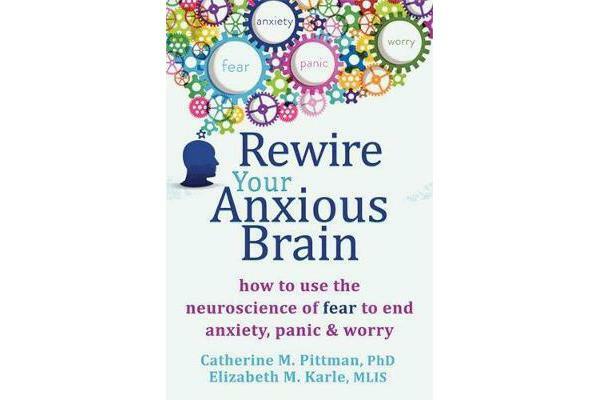 In the book, Pittman and Karle make it simple by offering specific examples of how to manage fear by tapping into both of these pathways in the brain. As you read, you’ll gain a greater understanding how anxiety is created in the brain, and as a result, you will feel empowered and motivated to overcome it. The brain is a powerful tool, and the more you work to change the way you respond to fear, the more resilient you will become. Using the practical self-assessments and proven-effective techniques in this book, you will learn to literally rewire the brain processes that lie at the root of your fears.